← Why Was UK Cinema So Successful In 2011? In case you didn’t know, Daniel Radcliffe has a new film being released, The Woman in Black, a Horror based on the novel of the same name. Radcliffe has done other movie work other than Harry Potter, and has received critical acclaim for his theatre work. The Woman in Black is, however, his first movie since the Potter saga concluded. 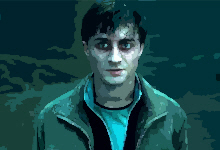 Radcliffe is now in a position where he needs to throw off the shadow of the boy who lived and forge out an acting career where he does not find himself pigeon-holed or typecast. How to break free, then, from a character from a children’s series of books, and the wholesome, family friendly aura that surrounds him as a result? Perfect timing, then, for startling revelations about his personal inner demons. Radcliffe has been very careful not to go into specifics, not revealing which scenes or indeed which particular Potter films he was drunk during. He also expresses relief that the press did not become aware of the situation at the time. I’m not claiming his story isn’t true. Neither am I trying to belittle his suffering. He was thrust into a world of fame and excess at a frighteningly early age. Radcliffe does not claim it was this sudden fame that caused his drinking problem, but it would have certainly been a huge influence, and allowed him the means to drink to excess. What bothers me is the fact that he is using this story at such an opportune time. It’s usual practice for stars promoting a film to throw some big stories out, to try and direct the public’s attention towards themselves and the movie in question. If he really was so tortured by his addiction, however, and his resulting actions, he would not be using them to promote a movie. It would be different if he was releasing an autobiography. The alcoholism would be a major element of the book, and would be a relevant subject to discuss in interview. In this case, though, it has no bearing at all on the film, and so is a shameless exercise in headline grabbing. What makes it so much worse is that it he has told this story so soon after the ending of the Harry Potter series. Whether you like the movies or not, the handling of the Harry Potter franchise has been tremendous. Warner Bros have kept a tight schedule throughout, to ensure they could complete the series, keeping the same cast members, and ensuring the kids remained reasonably close to the ages they were playing. This is no mean feat, and everyone involved deserves credit for doing such a fine job. For Daniel Radcliffe to cast such a huge shadow over such a monumental effort is selfish. There are children to whom Harry Potter is a hero. What will they think when they hear about the fact that Harry Potter was drunk? Radcliffe has ensured that he has fulfilled his Potter commitments, and received his Potter pay checks, before revealing his shame. He has not, however, given a thought to the emotional damage his story might do to the young fans that look up to him. If he had waited for at least a few years, when the Harry Potter fans were old enough to understand, it wouldn’t have been nearly so bad. No-one would really have cared. This, of course, is the point. If he had waited until no-one cared to reveal his secret, which would have been the classy thing to do, he would not have gained the full benefit of the fallout. The Woman in Black is a relatively small, low-key horror movie. He is well aware that it will need all the promotional help it can get in order to be financially successful, and he is doing his bit, cutting away his Harry Potter legacy in the process. I am sympathetic to Radcliffe’s plight. Addiction, in all its forms, can be life destroying. I hope he is getting the help he needs, and I also hope that it will serve as a warning to budding young actors, and their guardians, of the pitfalls of fame. I just feel that Radcliffe is exploiting himself for an easy injection of marketing, risking damage to the reputation of the movie series that made him, and the young fans that love him. That, to me, is a sad state of affairs. This entry was posted in Articles, News and tagged alcoholic, daniel radcliffe, drunk, gossip, harry potter, heat magazine, news, revelation, the woman in black. Bookmark the permalink.